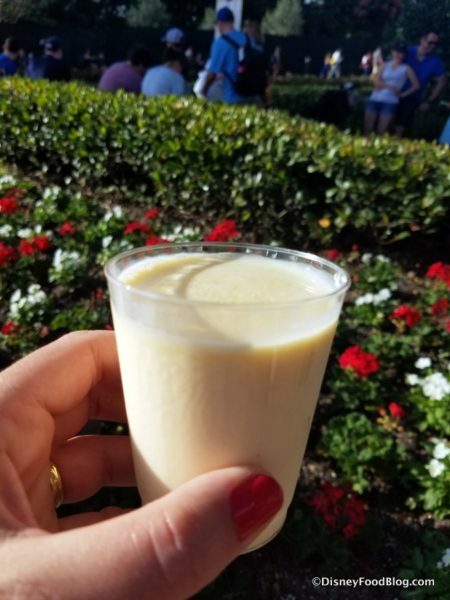 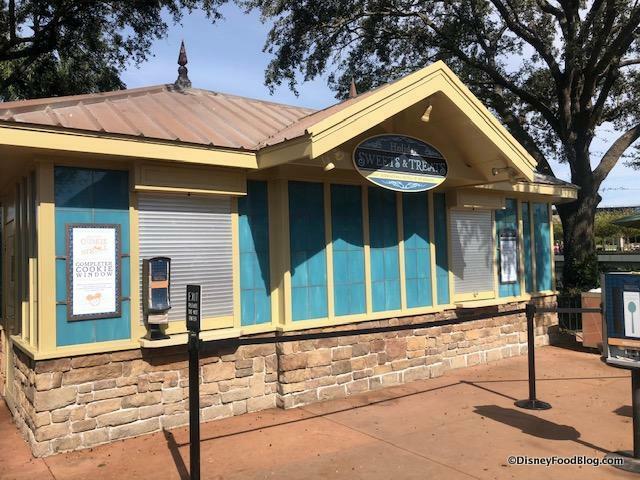 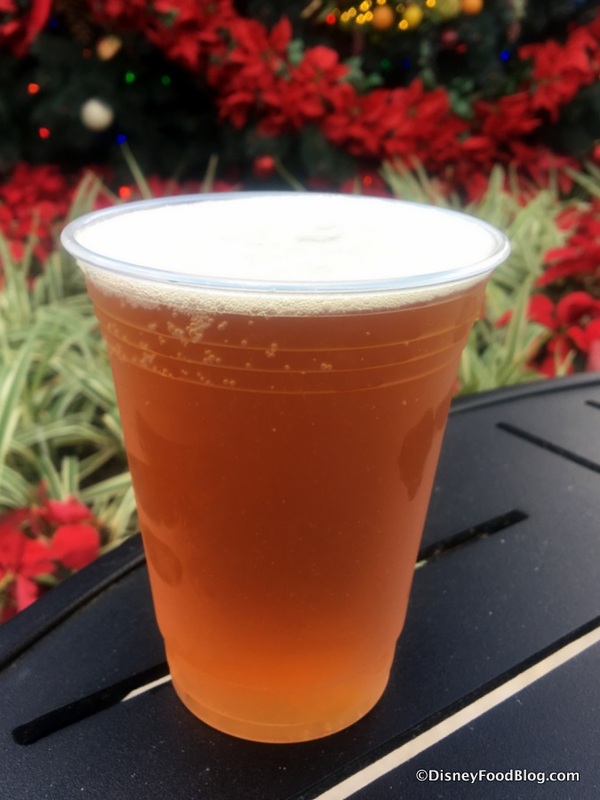 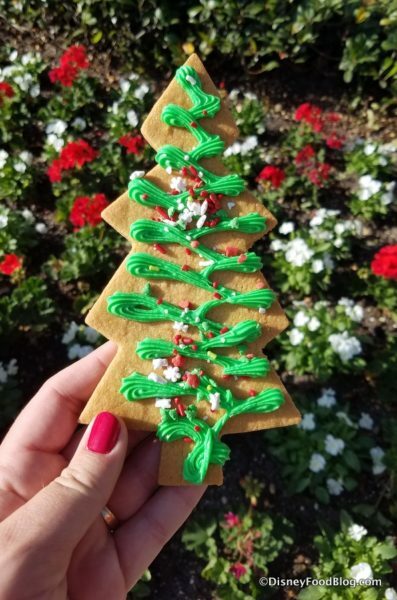 This World Showcase Promenade booth transforms into Holiday Sweet & Treats for the Festival, featuring desserts and drinks this year. And it’s also the stop to collect your Completer Cookie if you’re participating the in Holiday Cookie Stroll! 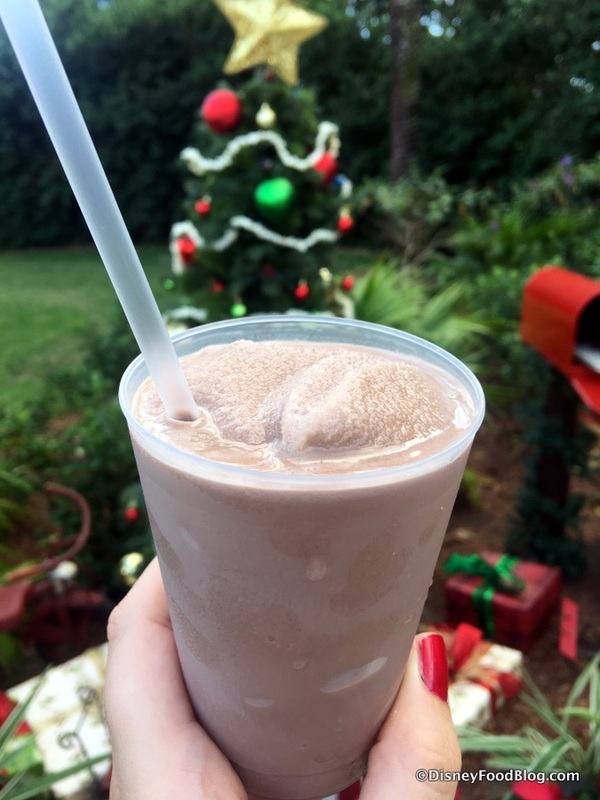 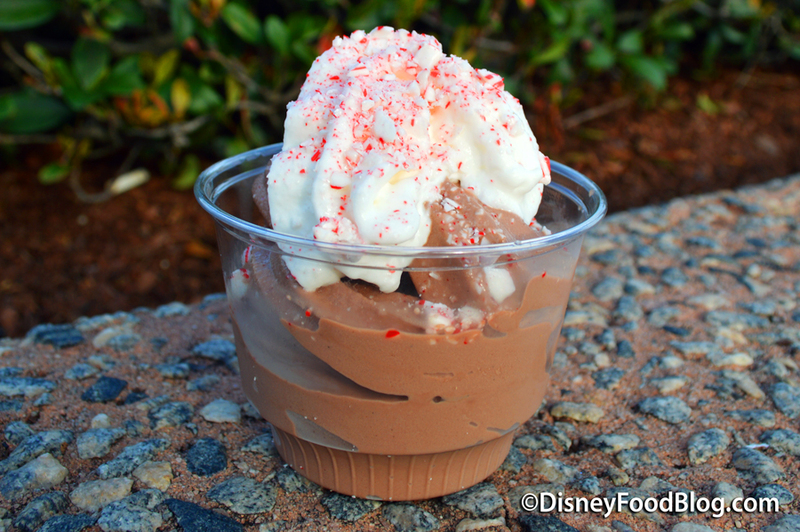 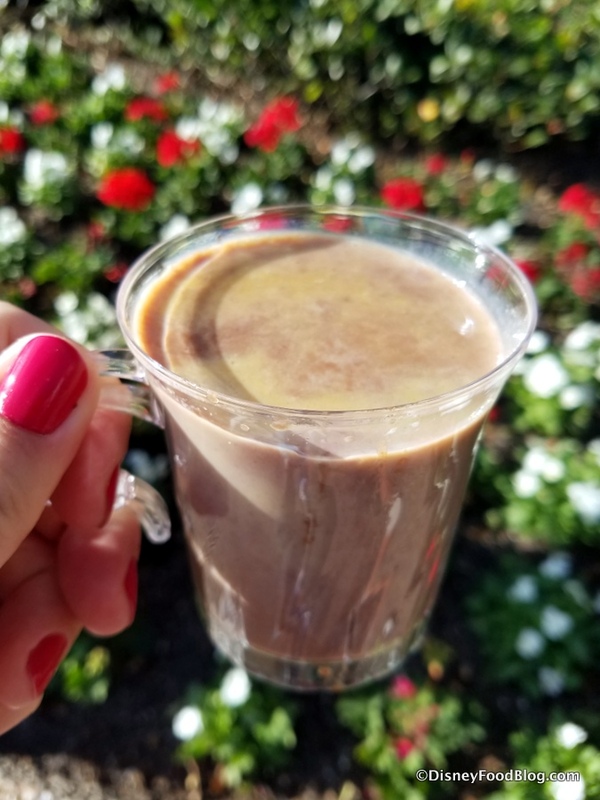 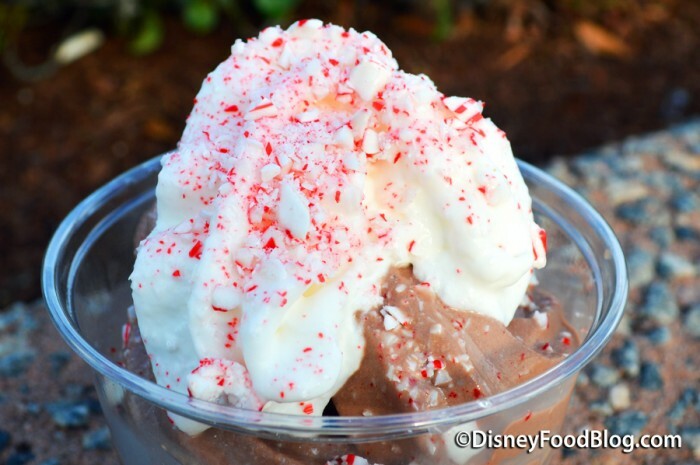 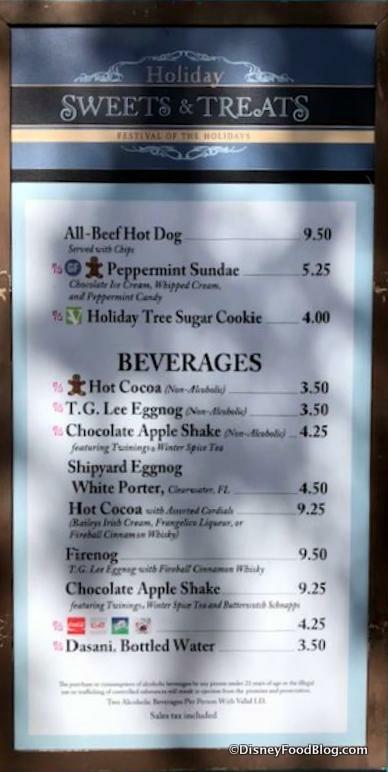 Kids love the returning Peppermint Sundae here… and adults might appreciate the generous shots of alcohol in the Firenog and the Hot Cocoa with cordials (we loved the Baileys)! 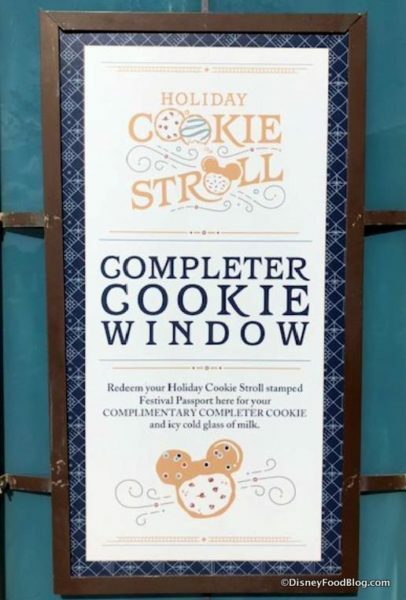 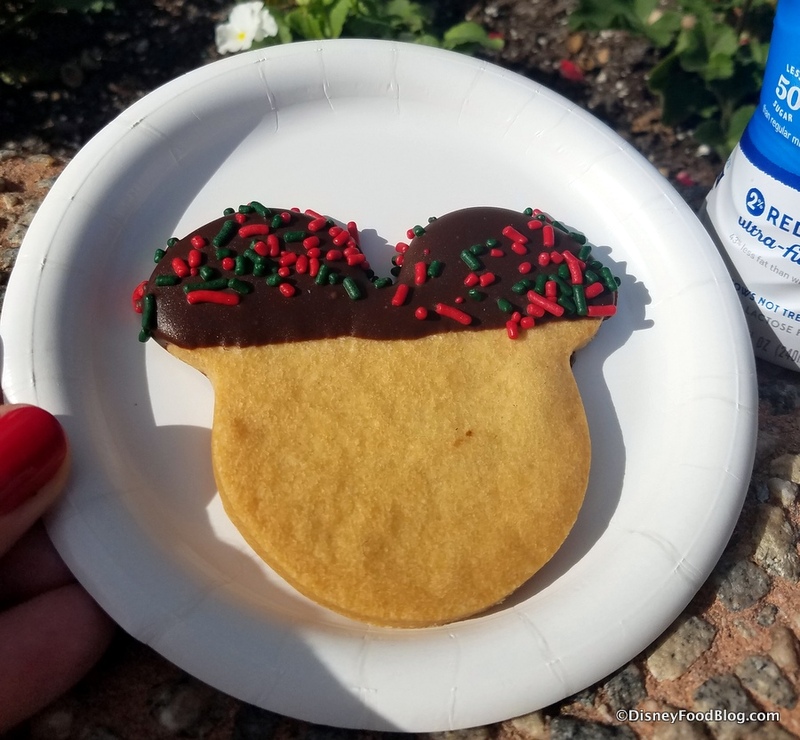 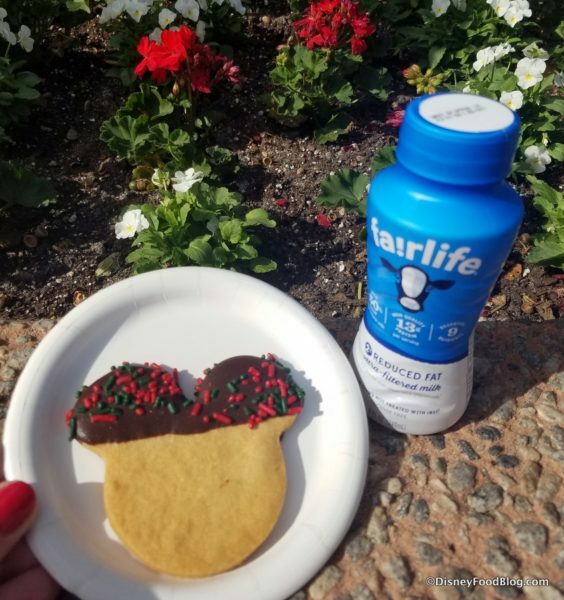 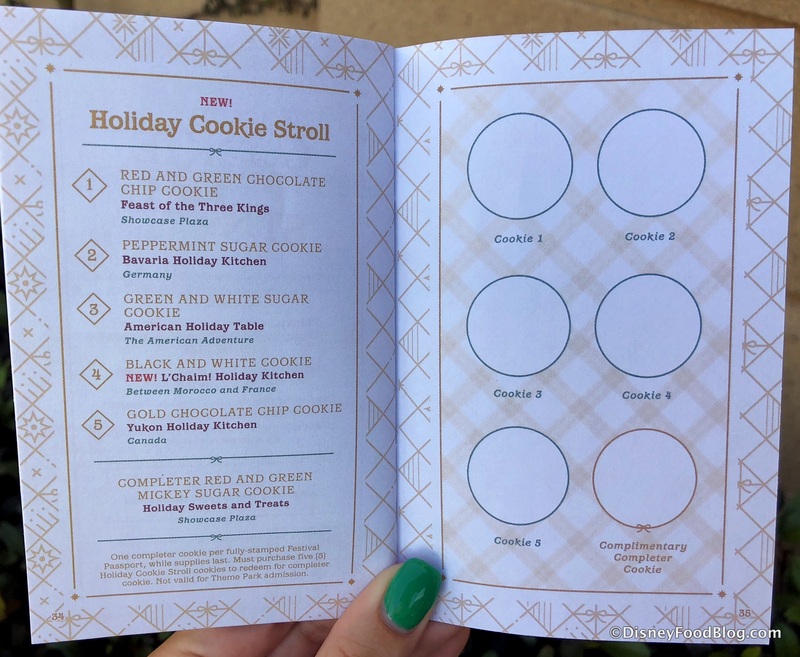 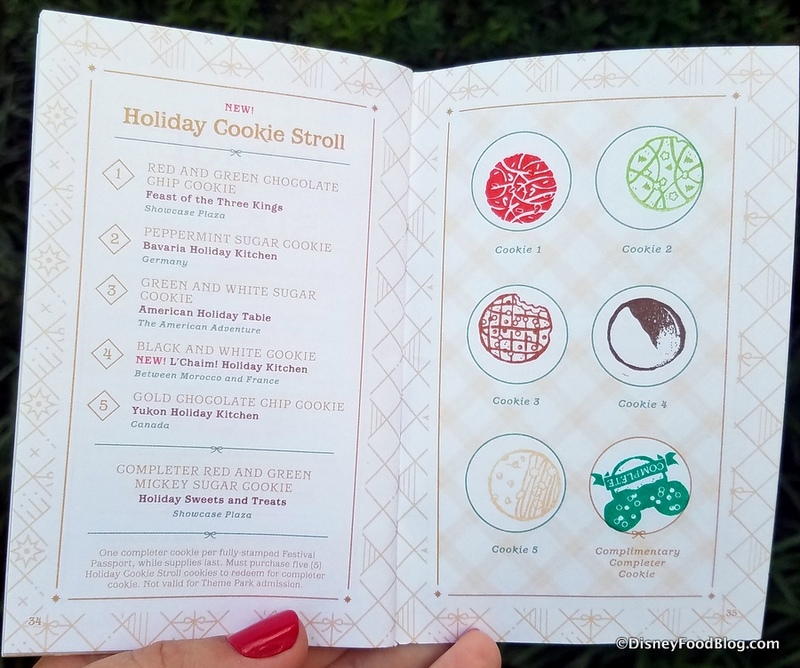 Holiday Cookie Stroll Completer Cookie – Red and Green Mickey Sugar Cookie (Vegetarian) — Complimentary upon completing the Holiday Cookie Stroll!